The swissmade software label is dedicated to promoting the Swiss software industry, both at home and abroad. It combines Swiss values such as quality, reliability and precision – especially in software development. The presence of numerous international corporations is a testament to Switzerland’s unique value as a place of software development: it is no coincidence that companies such as Google and IBM have research and development centers in Switzerland. This platform lists all companies which meet the requirements of the label – potential partners who are innovative, open and flexible. 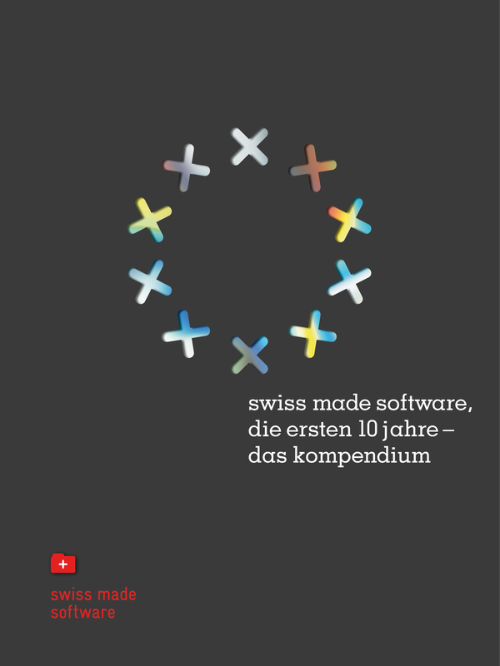 Since 2007, more than 600 companies have been awarded the right to use the familiar swiss made software seal. This represents more than 10'000 core ICT employees all over Switzerland. Currently more than 660 products and services are listed on our platform. The member companies are proud representatives of Swiss engineering and are committed to Switzerland as their chosen place of software development. Die Relevanz der lokalen Entwicklung zeigt auch das Wachstum von swiss made software: In den letzten fünf Jahren wuchs das Label um mehr als 300 Prozent auf deutlich über 500 aktive Träger. Mit dem Kompendium zeigen wir aktuelle Cases und blicken gleichzeitig zurück auf 10 Jahre Standortentwicklung. Details hier. 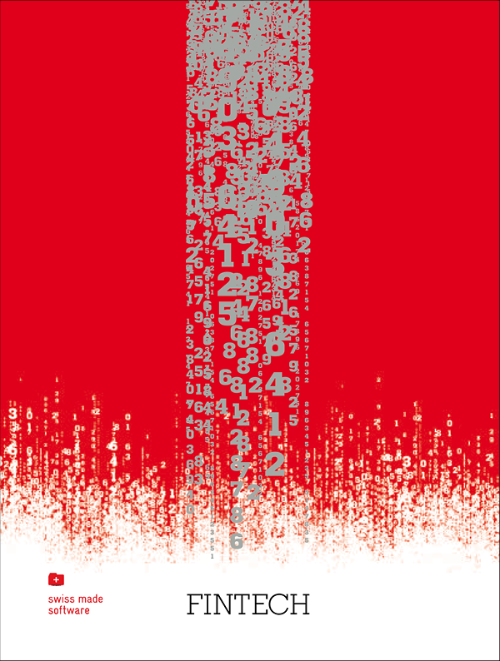 swiss made software - Fintech is the fifth edition of our book series. Swiss fintech is on the rise – but its full economic potential is far from being exhausted. Some observers even appear to fear that any potential profits could be lost in the complicated interplay between the interests of regulators, companies, the state and consumers. The primary solution and guiding principle here is the push for more radical innovation for Switzerland’s banking center. What sort of hopes and criticism lie in store for 2016? swiss made software is trying to define the current status of this fascinating industry. The book provides information on the current state of affairs in fintech, the strengths and activities of the various regions, crowdfunding, and the role played by the regulator, while also introducing stakeholders and explaining concepts like blockchain and Bitcoins. Volume 5 is rounded off with incisive specialist articles and interviews with renowned exponents of the Swiss IT industry. Details here.